If by any means you believe that Fox & Friends, as some have claimed, has an influence on President Donald Trump, then you may as well also believe that Brian Kilmeade is one of the most powerful TV personalities in the United States since he is one of the hosts of the show. Apart from the show, he also hosts the Kilmeade and Friends program on Fox news radio just as he is also a writer. 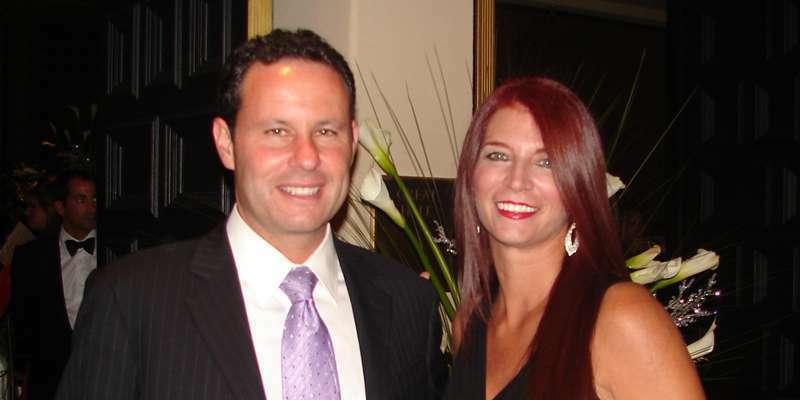 Of Irish and Italian descent, Brian Kilmeade was born on May 7, 1964, in the United States, New York City. It was here that he was brought up alongside his siblings, Steve Kilmeade and Jim Kilmeade. Although information about his father has remained hidden, it is known that his mother is Marie Kilmeade. Just as only a little is known about his father, so too there is not much that is known about his childhood and how he was raised. However, he got his education from the Massapequa High School and later the Long Island University (LIU Post) from where he graduated with a Bachelor of Arts. Inasmuch as we would all come to know him for his role in Fox News, it was not there that he began his career. It all started for him with Channel One News where he worked as a correspondent before moving to work with KFTR-DT. He also worked with XTRA-AM where he was a co-host of The Jim Brown Show. As he progressed he became an announcer for the Ultimate Fighting Championship (UFC 1) alongside Jim Brown before later also working for UFC 2 and UFC 3 for which he was a play-by-play announcer. More so, Kilmeade got to also work for WVIT which is owned and operated by owned-and-operated. As a freelance sports reporter. One thing about him that many don’t know is that he has also tried making a career as a stand-up comedian, but somehow it didn’t work out for him. Having worked with different media outfits, he joined Fox News in 1997 and before too long, he became a co-host of what would be described as the favorite and most watched show of Donald Trump, Fox & Friends. The show has remained one of the most popular morning shows since the 2000s. More than just a TV and radio show host, he is also a writer who by 2017, has had 5 books with his name on the covers. The Games Do Count: America’s Best and Brightest on the Power of Sports was published as his first book in 2004, followed by It’s How You Play the Game: The Powerful Sports Moments that Taught Lasting Values to America’s Finest in 2007. In 2013 and 2015 he released more books before his latest book which was published with Bon Yaeger in 2017, Andrew Jackson and the Miracle of New Orleans: The Battle That Shaped America’s Destiny. According to Kilmeade, he is on air at least 6 hours a day and 5 days a week, which speaks of how much of a hard worker he is. With that said, one will expect that he has a good net worth to show for all he has put in. Well, he does unless one does not see an estimated $5.5 million as a good net worth. He has been able to come about such a fortune thanks to his job which gives him a salary of over $2 million each year as well as his writings and other engagements. In the same way that Brian Kilmeade seems to be having a great professional life, so also is he having a great family life. Not known to have dated many women in the past, he is now married to Dawn Kilmeade. Although there is no information regarding when or how the two met, they have been married since 1993, and have been able to remain close ever since. The union between them has been blessed with three kids; Bryan Kilmeade, Kirstyn Kilmeade, and Kaitlyn Kilmeade. Brian, Dawn Kilmeade, and their kids now live in Massapequa on Long Island, New York, even though the Fox & Friends anchor is always on the move as a result of his job.